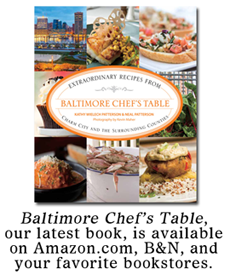 B&O American Brasserie, at the Kimpton Hotel Monaco, recently added some yummy-sounding new offerings to their dinner menu. Mr Minx and I were invited to partake of a complimentary meal to sample some of the new fare. This was our first visit to the restaurant, and I was surprised at how somber the surroundings are. It was a bit like dining in a Medieval castle that just happened to have a rather lively bar. Despite that initial chilly feeling, the staff were all very warm and welcoming and I immediately felt comfortable, especially after being ensconced in one of the semi-private banquette tables at the back of the upstairs dining room. We started off with beverages, an appropriately summery Modena Market cocktail with flavors of strawberry, white balsamic, and basil. It was quite savory, and a perfect drink to pair with food. Mr Minx chose a drink called "Mischief," which tasted primarily of lime on a smoky background of Laphroaig Scotch. A restaurant located in a hotel often must act as the hotel dining room, serving three meals a day and catering to the fairly staid tastebuds of the garden-variety hotel patron. But B&Os menu is far from ordinary, offering inventive dishes that are attractive to diners from beyond the neighborhood, as well as interesting twists on standbys like roast chicken and shrimp cocktail. 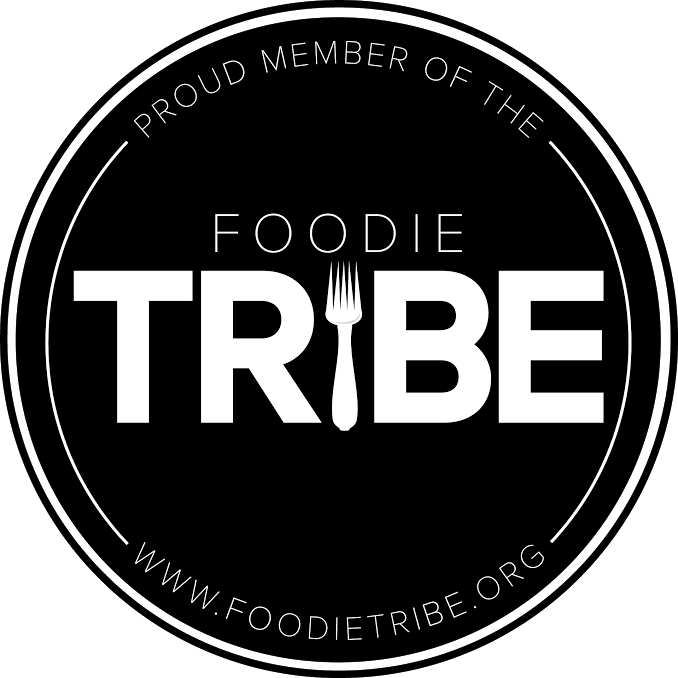 It's actually quite the foodie destination. The basket of delicious crusty bread and rich yet ethereal butter adorned with green crystals of house-made basil salt cemented this notion. While not made in-house, the quality of the bread was impeccable, and honestly I could have made a meal out of it and a salad. But I was there to experience the full breadth of the menu, was I not? 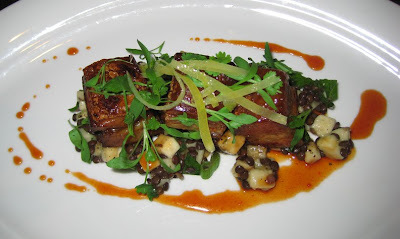 After perusing the menu online and asking for recommendations from people who have eaten at B&O, I decided that I would...nay that I needed to taste the smoked pork belly with banana-lentil salad, crispy pig ear, & chili-caramel. For one thing, I love pork belly. For another - bananas and lentils? You're kidding me. The flatbreads had been strongly recommended and Mr Minx couldn't pass up the version with duck confit, asparagus, cherries, and foie gras. 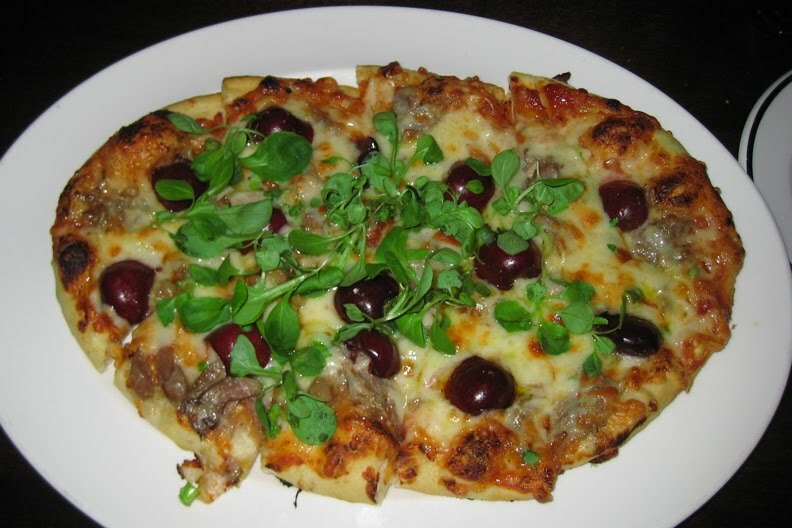 A word of warning to those who plan to follow suit - the flatbreads are HUGE and are best shared or eaten as an entree with a lighter starter. Essentially they are personal-sized pizzas. While we really enjoyed the crisp/chewy crust on this funky pizza, we felt the balance of flavors was a little off. The cheese overpowered the duck. The cherries also paled in its presence and served merely as textures. However, the little nuggets of foie gras hidden here and there were fun treasures to find. 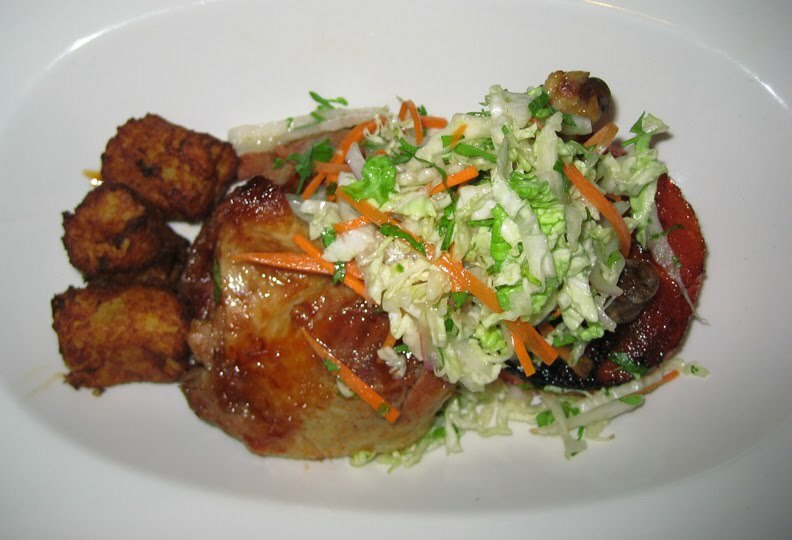 For my entree, I chose the "Buffalo" duck with grilled watermelon, slaw, and "tater tots." Hello, World's Best Tater Tots! They reminded me of my grandma's placki (potato pancakes) in their overwhelmingly potatoey potato-ness. A shame I only got three of the little guys, because I did have to share them with my carb-a-holic but otherwise lovely husband. The word "Buffalo" would seem to indicate a spicy, saucy preparation accompanied by bleu cheese and celery, but in this dish it was merely a light application of heat, mostly found on the watermelon. Yes, spicy watermelon works! The duck itself was fall-off-the-bone tender and quite nice. 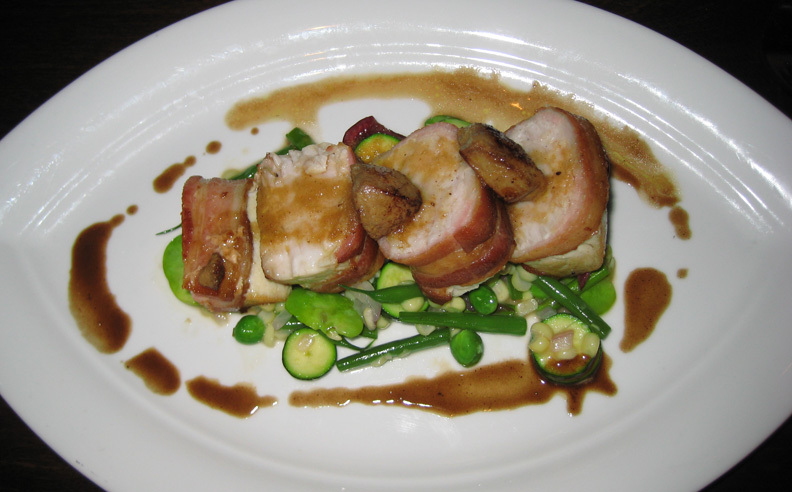 Mr Minx opted to try the bacon-wrapped Amberjack with corn-cherry succotash, string beans & beer-foie gras vinaigrette. Amberjack is a somewhat firm and meaty fish that takes well to smoking, and the bacon in this dish did indeed imbue the fish with lots of smoky flavor. The fish was moist and tender but I wish the bacon had been crisper. Perhaps that would have been hard to achieve without overcooking the fish. Despite the presence of a generous quantity of bacon, this was a nice, light, summer-y dish. 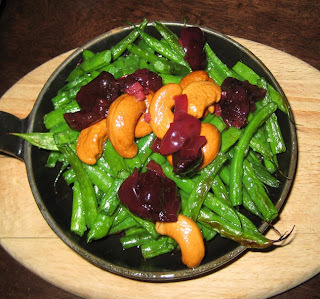 I wanted to try one of the sides that came from the same brick oven in which the flatbreads were cooked and ordered the roasted string beans with cashews and cherry dressing. It was the only real disappointment of the evening. Or perhaps I should say it was not what I expected. While the beans were perfectly cooked, they didn't have any particular roasty-ness. And the overly-large whole cashew and cherry topping added nothing while making the dish a bit awkward to eat. Part of that was probably due as well to the wee skillet in which it was served. Although we were pretty stuffed by this point, and I was taking a whole duck leg's worth of meat home for lunch the next day, we had to try dessert. 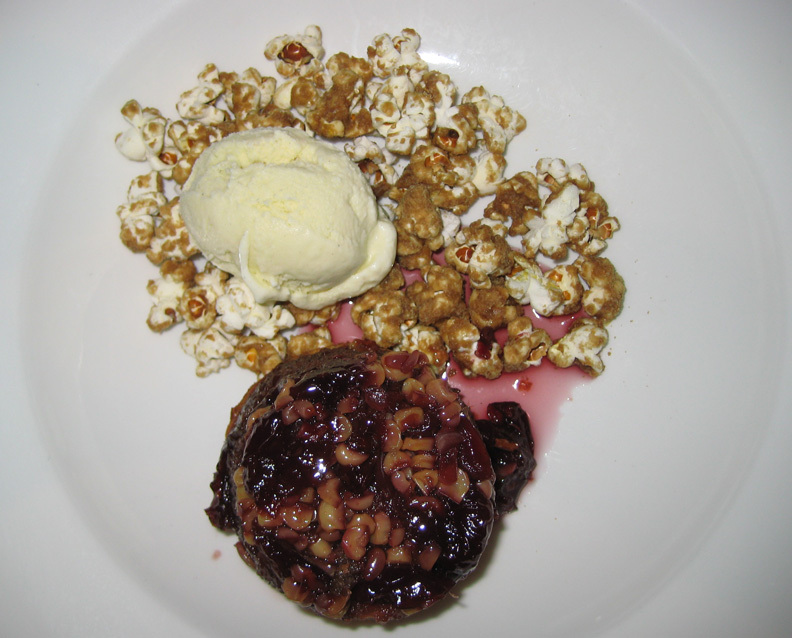 I heard great things about the bing cherry white corn "upside-down" cake with caramel corn and sweet corn ice cream. The cake was very much like a sweetened corn bread, studded with corn kernels and surrounded by cherries. Honestly, I've never before had a meal that contained so many cherries (probably because I am allergic to them - heh - thankfully only raw ones) and was happy to have the opportunity to eat them in something that wasn't pie. The corn ice cream was more subtly-flavored than I expected. Had I not known it was corn-flavored, I wouldn't have guessed. But it was nice with the caramel corn. In fact, I could have eaten the ice cream and caramel corn and been completely satisfied. Another warning - if you've eaten an appetizer and an entrée, you may want to share a dessert. Like the flatbreads, they are quite generously-proportioned. 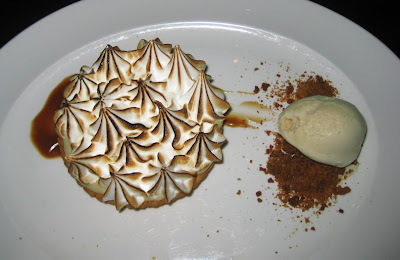 I wanted to try another one of B&O's inventive ice creams so urged Mr Minx to order the butterscotch pudding tart with gingerbread crumble and caramel balsamic ice cream. I thought that the gingerbread component had the perfect blend of spices. And Mr Minx enjoyed the dish so much, he requested it for Thanksgiving dinner! While the meal had small issues here and there, it was largely quite delicious, with lots of intriguing sweet/savory contrasts. I'd pay to eat that pork belly again and again. And I might have to do just that before the menu changes again.